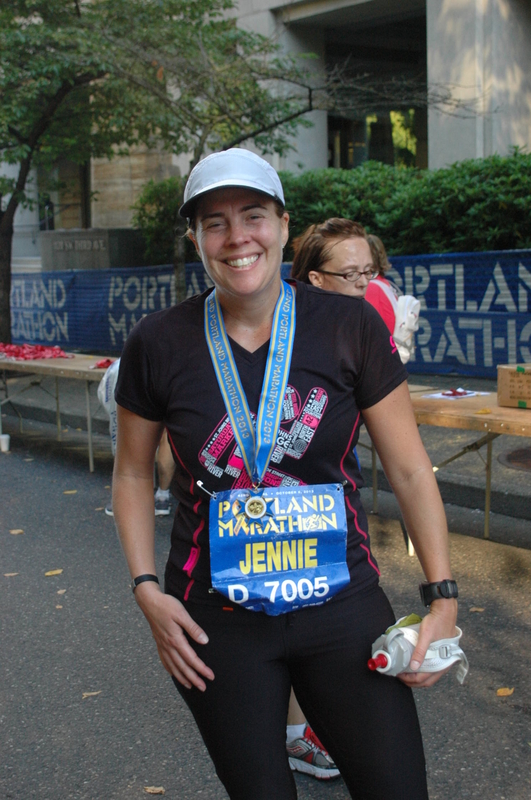 Posted on October 12, 2013, in My Stories and tagged finisher, guts, marathon, portland marathon, run. Bookmark the permalink. 9 Comments. Just re-read and re-savored this one. What a great triumph! Thanks David! It already feels like a long time ago. 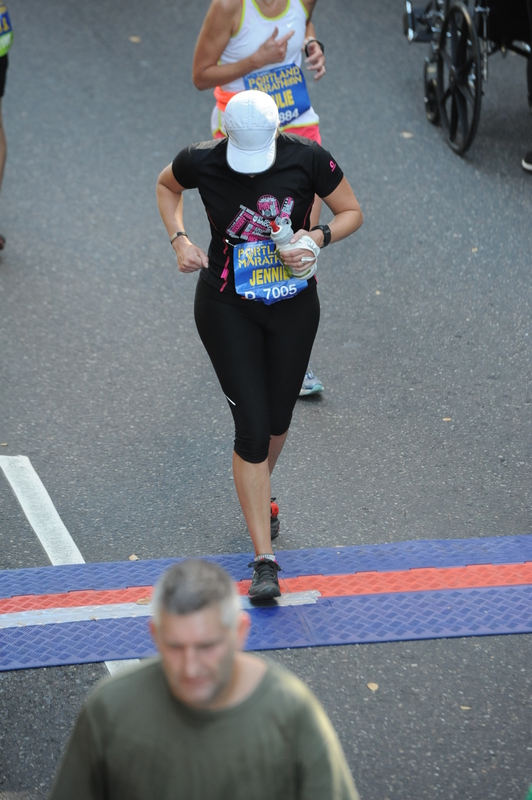 I have a half on the calendar for this year, but not another marathon- yet! Like the mother-daughter goal. Nice job. 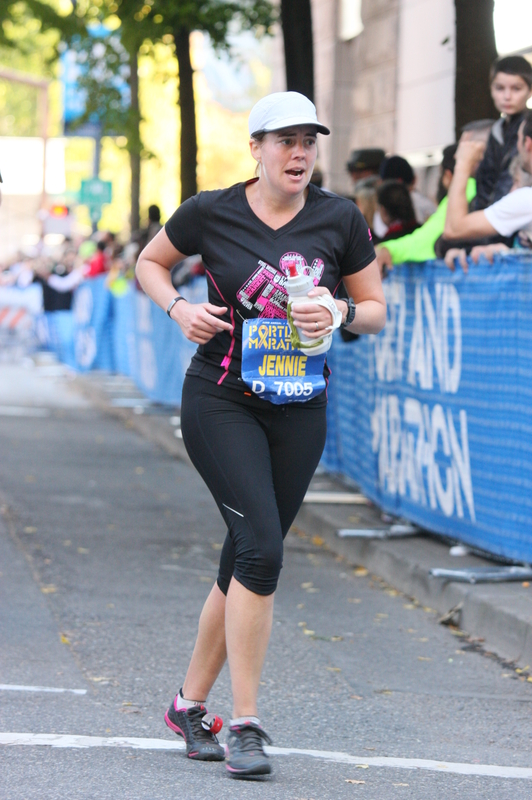 “Run, Walk, or Crawl – KEEP GOING” was one of my favorites, and one that I’ve held up my self at various races. So true that those last miles can be just about getting one foot in front of the other somehow, especially when something is really hurting. 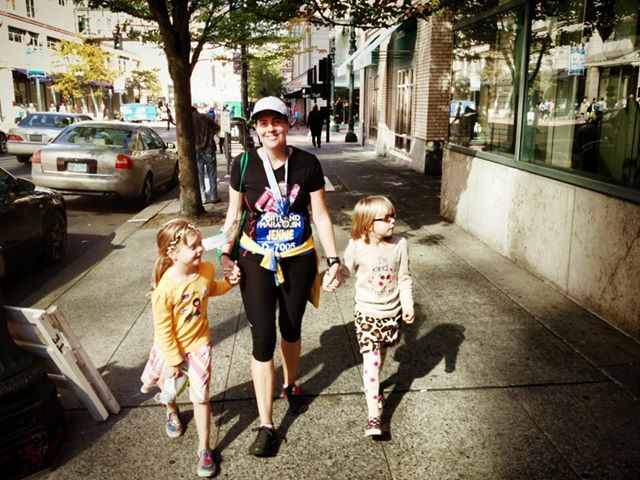 Thanks for sharing your story — You are no imposter — you are and always will be a marathoner. Rock. Star! Wooooo! Congrats Jenni! 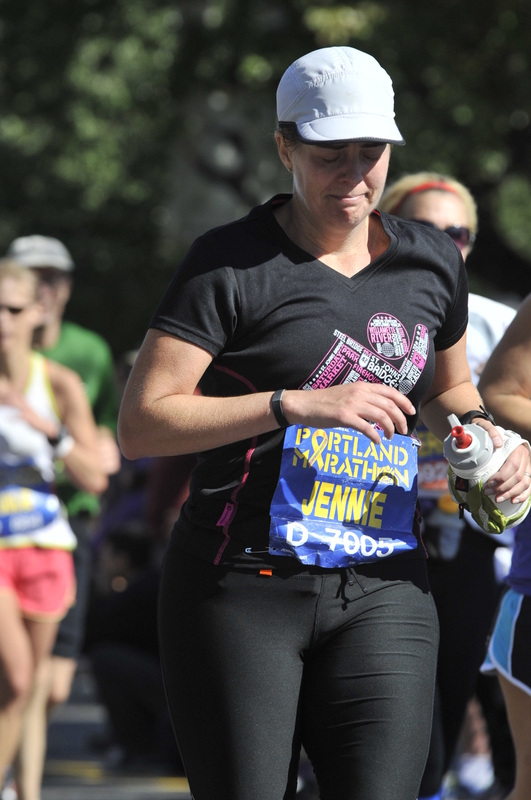 Mile 18 was where my own sense of doom and despair set in too. If I ever run another one I’m going to keep my eye squinted at that number and not let it get the better of me again.